A mitered corner is formed by joining two pieces of wood, each cut to a 45° angle. One of the easier joints to cut, a mitered corner does not require a lot of special tools or setup time, yet it’s useful in a variety of applications. Choose your weapon. 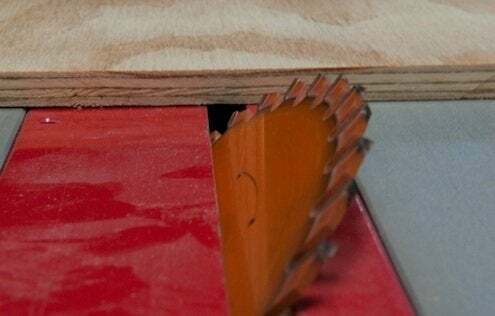 A hand saw, circular saw, or table saw may be used to make a mitered corner. 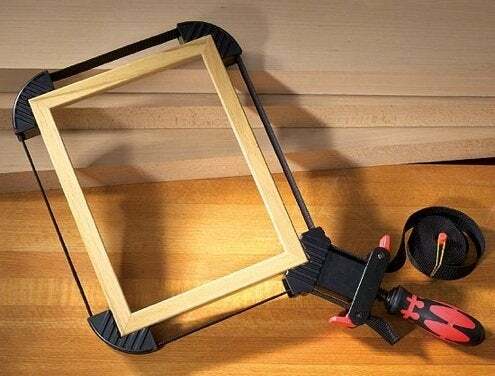 If you’re interested in building basic picture frames or doing light work with trim and molding, consider purchasing an inexpensive miter box, a tool that helps woodworkers achieve accurate angles. 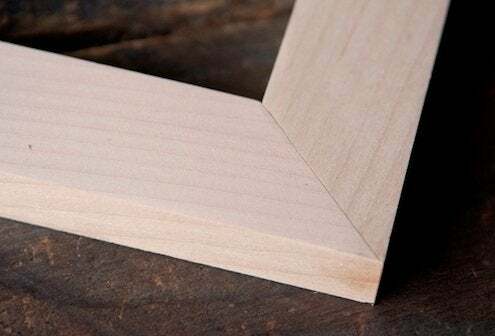 There are two types of miter joints—flat and edge. A flat miter, also known as a frame miter, joins two pieces that have been cut across the wood face. The best power tool option here is the compound miter saw, which is of course named for its ability to make these angled cuts. A case miter joins two edges that have been “beveled,” or, cut at an angle across the end grain. The most versatile tool here is the table saw, whose blade can be tilted. If you opt instead for the circular saw, smooth out the rough cut it makes using a router and chamfer bit. Cut it out. Let’s say you’re cutting a basic frame miter. Set up your saw at precisely 45° (double-check the angle with a triangle), then cut the angle so that your workpiece reaches the desired length on its longest side. Repeat the process on the opposite end of the workpiece. If installing trim or molding, you can get away with nailing in one piece before butting the second, but stabilizing the joint by other means can be tricky. Freshly glued edges are so prone to slipping around, it’s tough to get precise alignment, though specialty clamps, such as the strap clamp, aid in the process. The trouble with miters. They certainly look great, but there’s a problem with miter joints—they’re not very strong. As suggested above, glue tends to set in them poorly, and even if screws or nails are used, those fasteners may not hold when sunk into end grain. Depending on the project, it may be possible to use dowels as reinforcement. Woodworkers also use biscuits, keys, and splines, any of which may serve as a decorative accent if created from a contrasting wood species. Still, a mitered joint on its own boasts a finished, professional look.